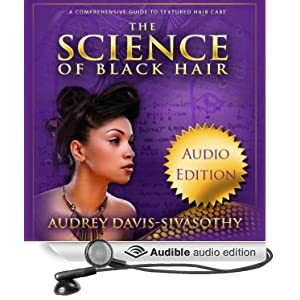 You are here: Home / Uncategorized / September Sale & Trim, Twists, etc.! September Sale & Trim, Twists, etc.! It has been awhile! As most of you know, I’m working on yet another book project (for transitioners and new naturals) and I’ve been kinda MIA for the past few months . . . well year . . . haha! I’m still alive! . . . Just wanted to drop in with some announcements! SALE! 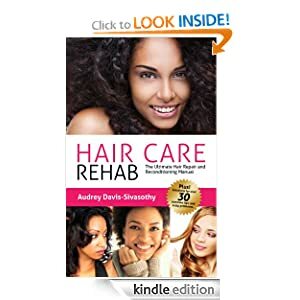 We will be running a digital sale on Hair Care Rehab today through 9/15. For a limited time, you can download HCR for just $2.99! ♥ http://amzn.to/1aaSUgx It’s also available on Barnes&Noble for Nook, KOBO and hopefully iTunes! 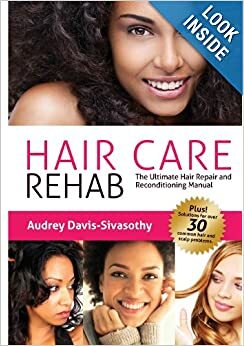 Also, for those of you who already have The Science of Black Hair or Hair Care Rehab in paperback from Amazon USA, you will be able to download a digital copy for $2.99 rather than pay full-price ($9.99) for the ebook. Amazon will soon be offering this bundling deal on other paperback books you may have in your library as well! This will start sometime in October! You can buy paperbacks for gifts and keep a Kindle copy for yourself, or just back up what you already have on the shelf at home– at a discount. I *heart* you Amazon. I do! TRIM: Also, in case you missed it! I recently had my baby brother do my biannual trim! Baby bro’ doing his thing. He’s so thorough and serious. Love him! This is my hair 30,000+ hours into my natural hair journey! I usually do regular trimming maintenance on my twists (just trimming hairs that look awful as I see them), and blow my hair out to trim it twice a year. We were both joking that cutting my blown out hair seemed like cutting at a moving target, lol! It started shrinking on me almost immediately, and you can see the frizz around the sides starting to kick up in the photo! My curls do not play. You will not hold them down! Shrinkage is a good thing, though. It’s a sign of healthy hair– hair that has great elasticity and curl memory if nothing else! My growth rate is pretty standard. I’m thinking it’s about 1/4 inch per month on good months. Slowly, but surely! Ho hum. Unfortunately, this is the only “before the trim” pic I have. (Sorry, lol!) We basically cleared up the fuzziness on the ends and made things blunt/broad U-shaped. It was no more than an inch of hair all around. My current regimen is very simple. I cleanse/condition every 7-10 days with Kenra Moisturizing Shampoo and Conditioner. 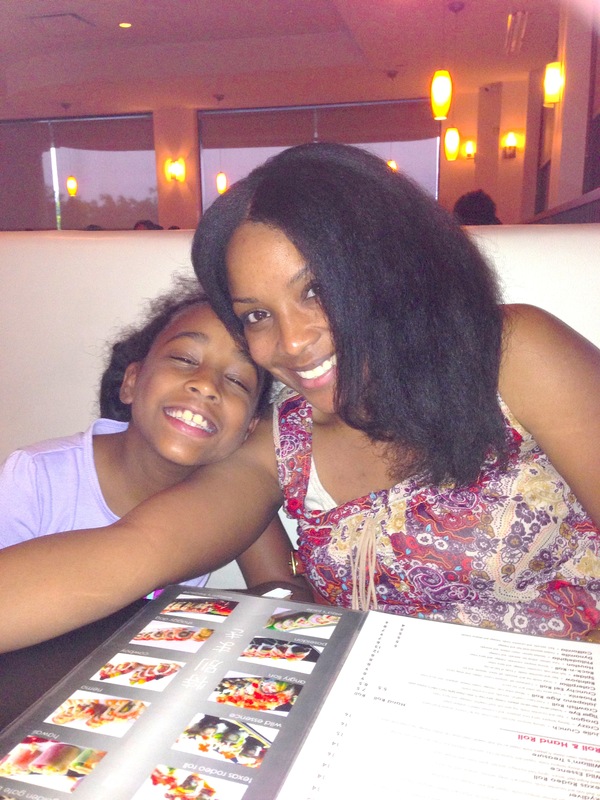 I wear my hair in twists most of the time, and I think that this is what has helped me retain length. Low manipulation, nothing crazy! I don’t mind having a boring regimen. I’ll do twistouts too, if my twists aren’t too small. With mini-twists, I always have to wash and start over. Since it has been so HOTTTTT here in Houston, TX this summer— I really don’t want a cloud of hair around me! Haha! So mini-twists it is! My mini twists. When they start to look old like this, I find that doing a braidout on them makes them look fresher! Once they reach the point of no return, I do high buns. I can go about 2-3 weeks on a good set of twists with a wash in between. 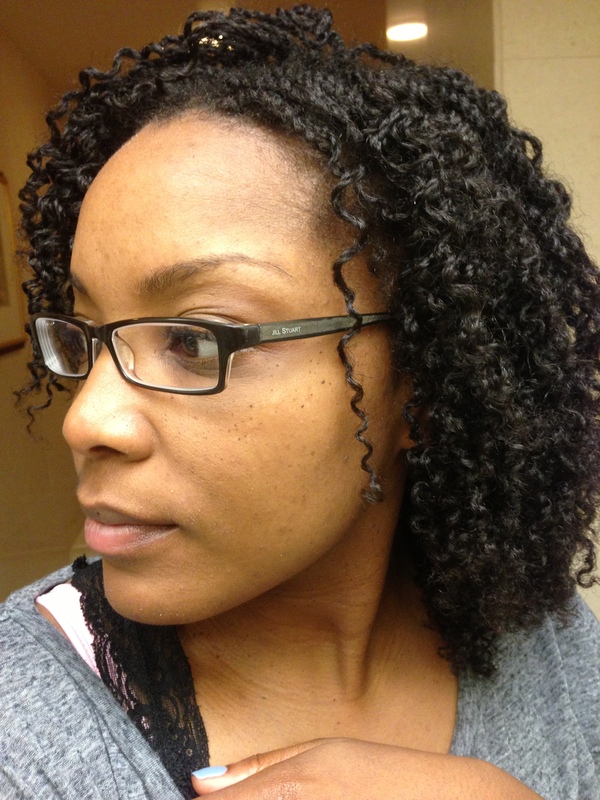 I’ll do a separate post on my regimen and twists! My natural hair is about the same length that my relaxed hair was when I decided to transition, but I can feel a world of difference between the two heads of hair! My hair is much stronger and fuller now. I can’t wait to see how it does over the next few years! « We’re doing a Super Survey on Hair Attitudes, Trends & Practices! Have you read about the Center for Environmental Health’s lawsuit against 98 personal care companies citing the potentially Cancer causing chemical Cocamide DEA in many shampoos and personal care products? I expected a lot of inferior brands that I’d never use to be on the list (and there were) but I was shocked to see some highly regarded companies have products on this list! 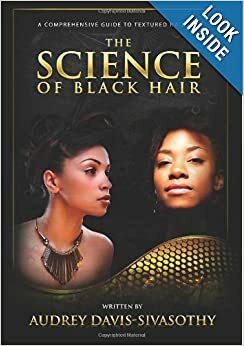 Even some companies that have been recommended by natural hair care blogs have products that appear on the list. I’d love to know what are your thoughts on this. I hadn’t heard about the new lawsuit, but CEH definitely has a long history of fighting to make products safe in the courtroom. =) Organizations like this are important because they keep everyone honest! Cocamide DEA is used in A LOT of products. I think it comes down to how consumers and manufacturers read the reports, and what folks are willing to tolerate. There is mixed info on the risks… whether they are cumulative… acceptable levels… rinse off vs. leave in exposure etc. Each person has her own “red line” if you will. Some people find any risk (or any “suggestion” of risk) unacceptable, while others have reasonable limits as to what they are going to accept. Product manufacturers have to balance performance with price– and again they also have to make the same risk assessments we do. You see the same thing in nutrition circles. There’s valid research to suggest that eating meat is a health risk– some of us will ignore it, others will limit exposure, and some will cut meat 100%. There’s research to suggest that eating cooked food is not as healthy as eating foods whole and raw. There’s truth to it, but I hesitate to suggest that one way is superior to another for anyone other than myself. =) It’s important to have knowledge of the risks and then make decisions based on what is acceptable to you, personally. My issue is when risks are not disclosed. I want the right to decide for myself whether or not a risk is acceptable to me. DO have a problem when things are mislabeled because that takes away my right to choose what is okay for me. If your label says you are organic, I don’t expect to see certain ingredients. I recently found out that many restaurants and stores spray their produce and salad bar items with sodium bisulfite to keep them fresher longer- and many do not disclose this. This is the kind of thing that I have a problem with, and it’s why I applaud CEH for making disclosure a top priority. I too wish, companies were more forthcoming, instead of hiding behind misleading labels (does natural even mean anything anymore when it comes to food products?). I guess we as consumers must continue to scrutinize labels, including the labels of the ‘virtuous’ companies and make a decision for ourselves what our tolerance level is toward certain ingredients. And here I thought I couldn’t spend anymore time online and in the stores reading labels (LOL)!